There are so many occasions that you may want to purchase flowers for. Weddings, anniversaries, graduations, and celebrations are all great excuses to grab some gorgeous, fragrant blooms for a friend of family member. For more somber occasions, such as funerals or wakes, a beautiful arrangement of fresh flowers can brighten up a room, commemorate a lost family member, or cheer up a grieving friend. Whatever your reason is to purchase flowers, one thing is for certain – you need good quality fresh flowers, and if you’re from out of town, a delivery service that will get the flowers where they need to be on time. No one benefits from flowers being delivered to a restaurant 20 minutes after the party has left, or flowers being delivered to a wake after the family has already gone home. Punctuality is crucial when it comes to delivery. If you’re from out of town and are just around for a few days, you may be able to stop into a reputable flower shop in the town or city you’re in. You can check out the flowers they have available, pick and choose what stems you’d like incorporated, and watch the bouquet be made right in front of you. But, if you’re not in the actual city or place where you need your flowers to go, what do you do? Luckily, many online retailers have tapped into the need to buy flowers online. They recognize that sometimes, occasions pop up out of the blue – a birthday that completely slipped your mind is today, and you totally forgot to send a card or gift. An unexpected passing of a loved one, who’s funeral you are not going to be able to attend, or even an impromptu Las Vegas wedding that you would have loved to attend, are all reasons to begin the search to buy and send flowers online. No matter what you’re purchasing online, you must be careful you’re giving your business to a reputable company. If you’re from out of town and you send flowers to a wedding – the bride and groom may not even notice the flowers you’ve sent. What is to prevent them from simply not sending the flowers you’ve purchased? This is why you must always look for a reputable flower service. You work hard for your money – and flowers are not the cheapest gesture you can invest in. When you are shopping in person for flower, you can look at the quality of the flower – you wouldn’t purchase a bouquet with frayed petals, or limp stems. You also would look at the cost of the flowers, to make sure your bouquet has both higher end flowers like roses, combined with slightly less expensive blooms to create an arrangement that is visually appealing, and won’t break the bank. Some online florists work with local businesses to provide services in more remote areas – like small towns, that may only have 1 flower shop. However, some of these services are a bit less than honest – the small town florist may only be receiving a small portion of the amount you’ve paid, with the rest all going to ‘processing fees’ – in other words, when you pay $60 for a beautiful arrangement plus $9.95 in shipping, the online retailer can be taking $25 out of that as it’s own cut – plus the shipping fee. By the time your month filters down to the local florist, you are only going to be receiving a bouquet value at $35, rather than one that represents the full amount of money you paid. So what should you do? What is the best way to avoid throwing your money out the window and paying a faceless company the extra money, just to get flowers delivered? If you’re in need of flowers, do a quick google search of the area you’re going to be sending them to. If you can get in touch with the local florist there, then that’s your best bet. Explain to them your situation – that you are unable to attend this wedding, graduation, funeral, or party, and exactly what you are looking for. Be as descriptive as possible – do you want to include a vase? Give specifics on what you want, otherwise you may be sending your friend who loves modern décor a hand crafted clay vase. If you’re sending a card, make sure to give the exact wording of what you want it to say, punctuation and all, to avoid any mishaps (pay close attention to the wording on your card, double check it if possible. The last thing you would want to happen is send a sympathy card to your friend Bob, and have the card read Rob, or Todd). Even if you’re not an expert on the various types of flowers, at least mention some colours that come to mind if you were to be at the florists choosing the stems for yourself – would you be looking for some pale coloured flowers, vibrant bright blooms, or a mixture of the two. Also, make sure to confirm with the florist whether they themselves will be delivering the flowers, or if they use a certain service. Later on down the road, after your order has been delivered, you don’t want to have friends on the lookout to ensure your order has been delivered from one company, when in reality it will be delivered from a completely separate company. This can save you potential embarrassment, as you will probably want a refund if you are under the impression your order was not successfully delivered. Of course, there are many reputable online florists out there, so don’t let bad experiences ruin online shopping for you. Look at testimonials online, and ask family and friends about services they have used that have given great customer service while providing a quality arrangement. If you go choose to go directly through a local florist, make sure to follow up with them to make sure your order was delivered on time and successfully. Here are links to online florists sites in Australia that are highly relevant and informative. Perth Flowers is a local florist in Perth Western Australia. The florists at Perth Flowers offer delivery in Perth CBD as well as to all suburbs of Perth. Murdoch Florist is a registered flower and gift business serving the suburb of Murdoch in Western Australia. The delivery places include Murdoch University, St John Of God Hospital and Fiona Stanley Hospital. I-Blossom is a locally owned Sunshine Coast florist since 2008. Spearwood Florist provides exquisite floral designs with exceptional service, proudly serving Spearwood, Western Australia and the surrounding suburbs. Spearwood Florist offers same day delivery as well as free delivery when ordered through their website. Flowers on Q is a quality Gold Coast Florist supplying flowers across the Gold Coast and surrounding areas. Rockingham Florist is an on-line floral store offering a wide range of arrangements and bouquets and a great delivery service for Rockingham residents in Western Australia. The official Subiaco Florist is an excellent florist for Subiaco in Perth Western Australia and handle floral services for any occasion. Whether you’re looking for single flowers or for amazing arrangements, Subiaco Florist can take care of your floral needs. 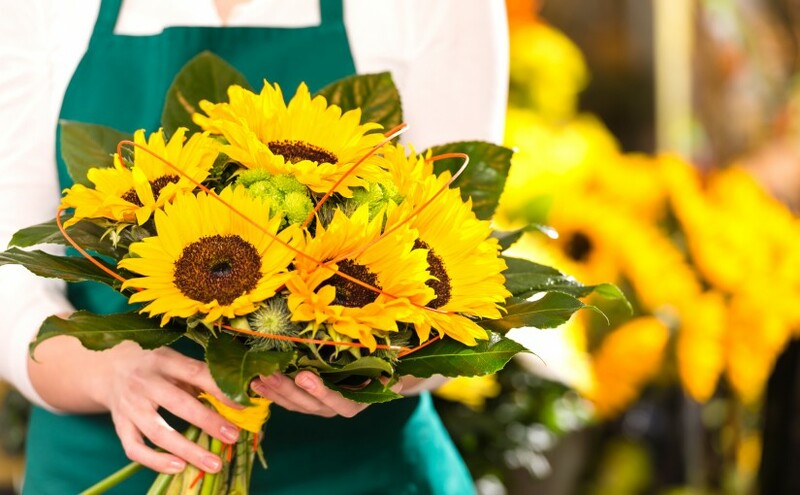 From cut flower arrangements, to potted plants, to gift hampers, Subiaco Florist has something on offer that will give your loved ones a delightful gift. Flower Temple is a Melbourne florist located in the CBD at 12 – 22 Artemis Lane, QV Precinct, Melbourne. Flower Temple provides delivery to all Melbourne suburbs as well as floristry workshops.